Stay Away® Mice repels pests with an odor that is offensive to mice, but pleasant to humans. It’s safe for humans, pets and the environment. 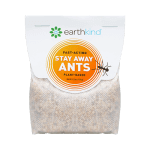 EarthKind®, makers of high performance, plant-based, pest repellents, announces the launch of Stay Away® Mice, the latest addition to the Stay Away® family of products. Stay Away® Mice was created to replace Stay Away® Rodent with a new and improved formula featuring active ingredients that are four times more concentrated than its closest competitor. As with all Stay Away® products, Stay Away® Mice is fast-acting, long-lasting with no mess, no hazardous chemicals, and no pests guaranteed. Stay Away® is the first pest prevention line made entirely out of plant-based ingredients including essential oils and plant fibers. Made with Cedar, Rosemary, Mint, and Sunflower Oils along with Corn Cobs, Stay Away® Mice repels pests with an odor that is offensive to mice, but pleasant to humans. It’s safe for humans, pets and the environment. 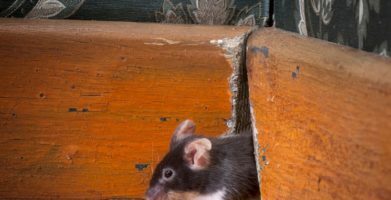 Use indoors in mouse-prone areas such as basements, attics, garages and utility areas; anywhere mice may go to feed, nest, congregate, hydrate or gnaw on wiring for up to 60 days. “It made no sense to me to attract mice with baited traps & sticky pads only to catch and kill them, followed by disposing of their dead bodies. 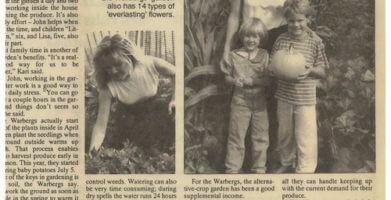 I knew it could be so much easier, so much more humane. 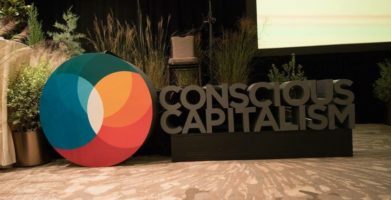 That’s why I started this company, that’s why we’ve added Stay Away Mice to our household line,” says EarthKind® Founder and CEO Kari Warberg Block. EarthKind® manufacturing has a 2% carbon footprint certified by the USDA Bio-Preferred Program, which measures cradle-to-grave inputs and outputs, from farm to customer trash. 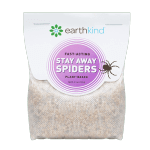 In fact, EarthKind® is the first and only company to have its first plant-based repellent meet federal EPA efficacy standards for professional use, yet have no known health, safety or environmental risks. 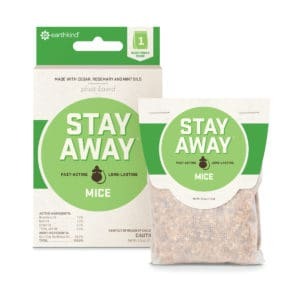 Stay Away® Mice is available for purchase in select grocery, home improvement, lawn & garden and hardware stores nationwide and at earthkind.com/shop. Stay Away® is 100% guaranteed effective, or EarthKind® will refund customers’ money. 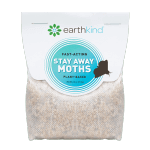 Media interested in setting up an interview with Kari Warberg Block to learn more about EarthKind® and its new Stay Away® line of household-friendly pest control products, please contact Danielle Schufreider at danielle(at)adinnyc(dot)com or 212.693.2150 x314. “It made no sense to me to attract mice with baited traps & sticky pads only to catch and kill them, followed by disposing of their dead bodies. I knew it could be so much easier, so much more humane. That's why I started this company, that's why we've added Stay Away Mice to our household line,” says EarthKind® Founder and CEO Kari Warberg Block. string(87) "EarthKind Announces the Launch of its Newly Formulated Mice Repellent: Stay Away® Mice"